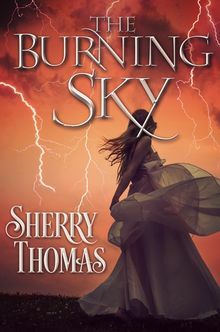 Sherry Thomas is the author of The Burning Sky and The Perilous Sea, the first two books in the Elemental Trilogy. Sherry immigrated to the United States from China when she was thirteen and taught herself English in part by devouring science fiction and romance novels. She is the author of several acclaimed romance novels and is the recipient of two RITA Awards. Sherry lives with her family in Austin, Texas.